Woody perennials are plants whose aboveground parts persist throughout the winter and are more commonly called trees and shrubs. 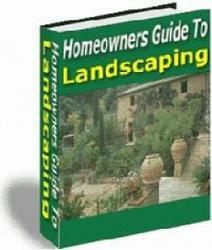 Most landscapes include trees and shrubs, most of which are grown for their ornamental properties. Landscape designers sometimes describe these woody plants as forming the bones of the landscape. They provide a year-round framework and backdrop for other garden plants. Woody plants are sold growing in containers, bare root, or balled and bur-lapped. Balled and burlapped plants are dug from the field with a ball of soil around their roots; then this ball of soil is wrapped in burlap or plastic. If properly stored and shipped, bare-root plants grow as well as, or better than, container-grown plants. Bare-root plants are often less expensive, and you may find a greater selection of varieties than in container-grown plants, especially from mail-order companies. These plants must be kept cool so that they don't break dormancy until they're planted. If you purchase plants through the mail, be sure to keep them cool upon arrival and plant them within a day or two. Avoid buying bare-root plants that have been sitting on store shelves and have begun to sprout. They are no longer dormant and will struggle to get established in your garden.